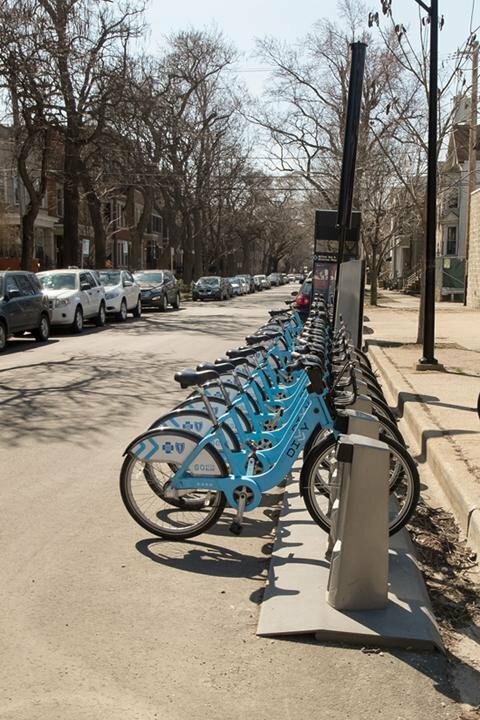 Eight Divvy bike stations will open in Evanston in spring 2016. Bikers will be able to purchase a $75 annual membership or a 24-hour pass for $7. The Evanston Divvy Bikes program will launch in spring 2016 after the equipment is ordered this fall, the city announced Friday. The decision to install bikes next year came after the Illinois Department of Transportation confirmed the grant to fund 70 Divvy bike stations in the Chicagoland area. Eight of the stations will be installed in Evanston, 50 will go to Chicago neighborhoods and 12 to Oak Park. Chicago officials decided to order the bikes in the fall instead of this spring because the bikes would then be delivered this November or December, both months with limited bicycle usage, the city said. Considering the operational costs, a spring installation is the best approach financially, according to a statement from Divvy and the Chicago Department of Transportation. Evanston staff will visit each of the sites determined by City Council to settle on the precise locations of the bicycles. In making the decisions, they will seek input from Evanston residents, owners of nearby businesses and aldermen, the city said. After public discussion of 17 possible locations, City Council settled on eight stops in March. One of the stations will be located on Sheridan Road on Northwestern’s campus. Other city locations include the Central Street Metra and CTA stations, the intersection of Church Street and Dodge Avenue, the intersection of Greenleaf Street and Dodge Avenue, downtown Evanston and the Main Street CTA/Metra station. Northwestern will fund an additional two bike stations on campus, including one at Norris University Center and another Sheridan Road location. Evanston, Chicago and Divvy will negotiate over funding, operations and maintenance of the bicycle stations in the next few months, with final decisions for sponsorship and advertising expected in October. IDOT will provide $3 million in funds for the projects, with the three cities paying the remaining $750,000. Evanston will contribute $108,000 from its budget, city manager Wally Bobkiewicz told Evanston media in an email last year.